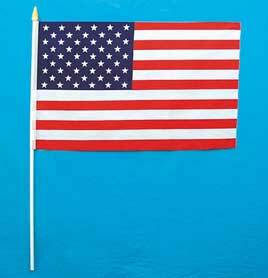 18 1/2" x 11 1/2" cloth United States Flags. 24 1/2" white plastic pole with plastic top. Warning choking hazard not for children under 3 years old.